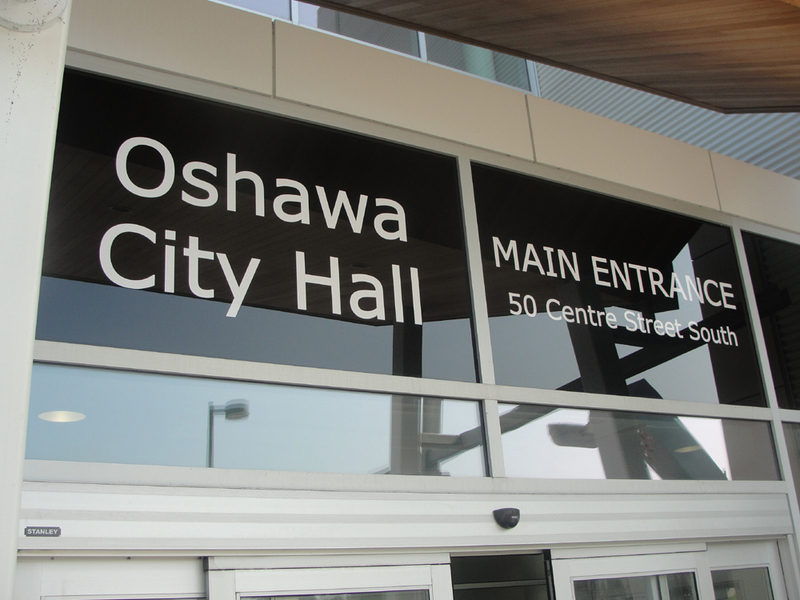 City councillors have approved the 2017 budget for Oshawa, which will see $141 million spent on operating costs and $34 million go toward capital projects. As a result of the budget, property owners can expect to pay more on taxes this year. Residents can expect to see an average increase of $53 on this year’s tax bill. This comes after city council appoved a 2.37 per cent tax hike, which comes in lower than the 2.89 per cent seen heading into the final day of deliberations, with that higher rate due to nearly $500,000 of additional spending that had been added during previous deliberations. On the final day however, councillors brought out the scissors and were able to cut $655,000 in planned projects for 2017, pulling the increase down to 2.37 per cent. For a home assessed at $350,000, this amounts to an increase of $53. All in all, the nearly $141-million operating budget – 5.25 per cent more than last year – and $34 million of capital projects were approved. The majority of the city’s revenue (76 per cent) is acquired through taxes and will amount to approximately $129 million in 2017 with other sources being operating revenue ($24.1 million), payments in lieu of taxes ($3.7 million) and money from reserves ($2.4 million). On the capital side, approximately 80 per cent of the dollars for 2017 projects ($27.9 million) is coming from reserves, while the remaining $2.7 million comes from operating revenue. The 2.37 per cent increase, while being slightly lower than last year’s 2.52, is above those set in 2014 and 2015, which came in at 1.44 and 1.82 respectively. Overall, the entire budget process was a quiet one with not too many surprises for council, which wrangled with increasing costs of service and the city’s large debt load – an issue that was exacerbated in December when council approved $7.8 million in time-sensitive capital projects, including taking out $4 million in debt to pay for the $6 million required to fix the airport runway. Council pushed ahead with the debt despite the fact it bloated their borrowed amount above approved policy. The issue of the city’s growing infrastructure deficit was also a recurring theme as councillors learned there are $464 million worth of infrastructure projects that remain unfunded over the next nine years. In order to combat this, a one per cent tax levy solely for infrastructure (it makes up part of the 2.37 per cent) was implemented, which will collect approximately $1.2 million in 2017. This idea had been suggested in previous budgets, but was never implemented. Council has also already approved donating $100,000 of those funds to assist Durham College with the construction of its new Centre for Collaborative Education. However, not all councillors were as bright eyed about the final product, with Councillor John Neal voting against the budget’s approval, citing the city’s inability to recognize certain issues, such as funds that will be needed to pay for the eventual resolution of the ongoing lawsuit between the city and the Region of Durham over Durham Region Transit. Councillor Amy McQuaid-England, while voting in favour of the budget approval, says the process was stymied with disrespect and a lack of transparency and recognition of bigger issues, especially the large infrastructure deficit. “That’s nowhere near the amount of money that’s actually needed,” she said. She added that many times during the process, she was made to feel like a “nuisance” when she tried to get answers to her questions and that there were “many comments made” behind the scenes by other councillors while she tried to get answers. “It makes it hard for a council member to be proactively working together as a team,” she said. Councillor Bob Chapman did not share the same concerns, noting that tackling the infrastructure problem needs to be balanced with the impact on taxpayers. The same was said by Councillor Dan Carter, who argued this was a good start and a good balance between what the public expect and the services required. Chapman was the councillor who brought forward the pair of motions to slash a series of parking lot rehabilitations at city facilities including city hall, various arenas, fire halls and depots to the tune of $350,000 along with a $190,000 parking lot reconstruction at Kingside Park. The final savings realized during the final day were made through the cutting of $110,000 in the crushing of extra concrete the city has accumulated through reconstruction projects over more than a decade – a practice the city has since ceased. The materials will now be used as part of the construction for a berm at the Oshawa Executive Airport. Both of the parking lot projects were deferred until 2018, something Chapman says staff assured him would not cause issues. However, the mayor says that there is still room in the budget to do any necessary repairs required. “Staff will address the parking lots that they’re talking about and undertake the repairs necessary to make things happen,” he said. When pressed on the apparent difficulty of deferring further infrastructure projects when the deficit for such projects is already high, Henry noted it’s a constant problem, especially as municipalities struggle with hydro bills and now the newly introduced carbon tax, and one that perhaps could be solved with help from other levels of government. “We will always have challenges,” he said.